OK, we'll admit it. Last year's pick Stephen F. Austin was a bomb. But we're still 2-1 on our Super Sleeper (Northwestern State in 2006, San Diego in '08). Undeterred, we're going back out on a limb this year with our pick of a #13 seed or worse. And Siena doesn't even count with Purdue missing Robbie Hummel. So who does that leave? Well the Wofford Terriers of course! - Wisconsin a #4 seed? Please. This team should be a #6, tops. - The game is in Jacksonville, just 5 hours from campus. That's Wofford Country, son! - Jon Leuer is a great player for Wisco, but he hasn't nearly been the same since coming back from a wrist injury. Good luck getting into your groove in the Big Dance. - Wofford has BEATEN, yes BEATEN Georgia and South Carolina, and played Pitt down to the wire. 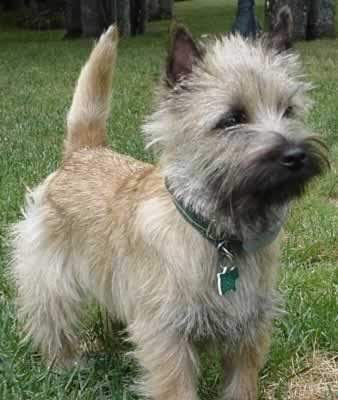 - The Terriers have lost just ONCE in 2010. That's what we call a roll, my friends - even if it's in the SoCon. - Noal Dahlman = $$$. When he's on - like he was vs. South Carolina - the Terriers are scary good. Remember Teddy Dupay from the 2000 National Title Game Florida Gators? The guy that was thrown out for allegedly gambling on sports? We bet you've been wondering where he's been the last 10 years. There have been some insane acts of reality in the past decade but there's just no one that delivered year-in year-out like Artest. He entered the decade just another street-tough rookie from the Queens projects; ten years later, he's the craziest mofo in NBA history. June 13, 2001: During a pickup game, broke two of Michael Jordan's ribs. Said Artest: "I read it in the paper and was like, 'Man, Mike's ribs got broke. How'd his ribs get broke?'" Jan 4, 2003: Suspended three games and fined $35,000 for smashing video equipment after a loss to the Knicks at Madison Square Garden. Jan. 30, 2003: Suspended four games after confrontation with Heat coach Pat Riley on the sidelines during the game, then flipping the fans in Miami "the bird." Feb. 26, 2003: Suspended one game by Pacers for smashing a framed picture of himself in Conseco Fieldhouse. March 20, 2003: Suspended two games for flagrant foul on Celtics forward Paul Pierce that occurred five seconds into the game. It was his eighth flagrant foul of the season. April 3, 2003: Fined $20,000 for making an obscene gesture to the crowd in Cleveland. Feb. 16, 2004: Marked his first All-Star appearance by continually changing shoes during the game in the hopes of getting a shoe contract. May 25, 2004: Fined $10,000 for making an obscene gesture during Eastern Conference Finals against the Pistons (are you seeing a trend here?). Nov. 9-10, 2004: Benched for two games after asking for time off to promote the release of his upcoming rap album. Oct. 2005: Appeared on the cover of the December issue of Penthouse. In the interview, Artest said he wanted to box Ben Wallace on pay-per-view. Dec. 10, 2005: In an interview with the Indianapolis Star, Artest suggests the Pacers trade him, saying he wouldn't mind coming off the bench for LeBron James. Jan. 1, 2006: Artest, tells the New York Post that his New Year's resolution is to: "Teach math classes in elementary schools throughout the country. And, of course, I want to sell 10 million records." July 7, 2009: ... How about this for a Flip McTwist? After beef with Kobe in the playoffs, Artest signs with the Lakers for five years. Opts to wear #37 in honor of Michael Jackson, whose album "Thriller" was the top-selling record for 37 consecutive weeks - he explains he is "hoodalizing" the number. Aug. 2009: While traveling through China, gives an impoverished kid a $45,000 diamond watch for his education. Nov. 2009: Artest shows up on Jimmy Kimmel in only his boxers. Why? Because he was running late, of course. Dec. 2009: Artest claims "I used to drink Hennesy at halftime." 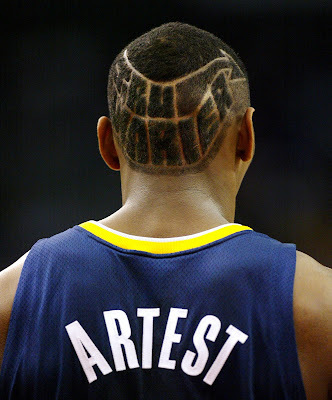 We can't wait to see what Artest is doing in 2020. Any guesses??? It's that time of year again - when we select the most ridiculous, idiotic, narcissistic and just downright absurd individual of the last 365 days - a.k.a. the 5th annual Realest of the Year. You might be wondering why we are making our selection so early. After all, there's still five days left for people to lose their minds. Well we've still got to select the Realest of the Decade, people. Feel free to send in your submissions, which will have absolutely no bearing on the results. Starbury made a huge push for back-to-back titles with his new YouTube channel. But then again, who hasn't cried in front of their computer naked with R. Kelly in the background and then followed it by eating vaseline for desert? Mascots are all fun and games until someone gives a piggyback ride and slams into the hurdles truck. Seriously, who hired this hit man? "How do I know if my daughter may be getting into trouble?" Woah, Ms. Lippy, did you seriously just ask a whore advice on your daughter? Kudos to former Notre Dame coach Charlie Weis for taking the low road on his way out of South Bend with bozacks in hand. First Weis accused USC coach Pete Carroll of cheating on his wife by living with an SC grad student in Malibu. When a national backlash ensued, Weis didn't deny the comment but instead went to the classic "taken out of context" excuse. Um, what exactly was taken out of context about this? "Let me ask you this question: You guys know about things that go on in different places. Was I living with a grad student in Malibu, or was I living with my wife in my house? You could bet that if I were living with a grad student here in South Bend, it would be national news. He's doing it in Malibu, and it's not national news."